I'm in need of something to punctuate my days in the office, and to assist my day-dreaming before the next big adventure kicks off. 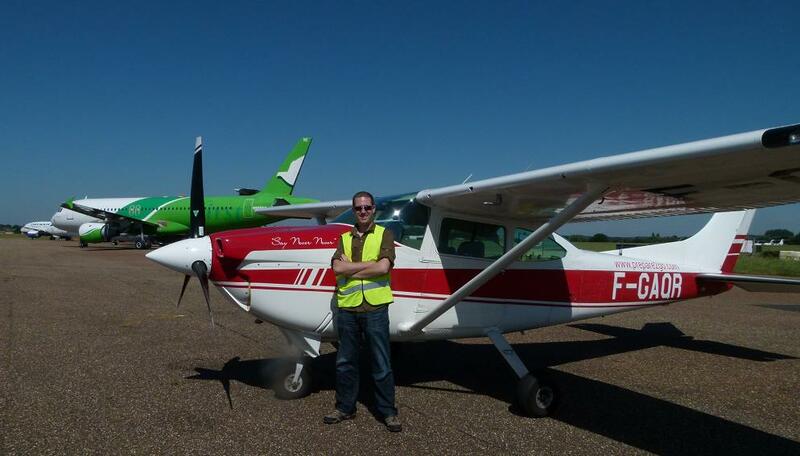 So, I figured I'd write up my 2013 African flight for the forum, as I did with the recent Alaska trip. Hopefully people will find it of some interest! So, without further ado, here we go. Please let know if there's interest in continuing as it was a 4 month trip and this could go on for quite a while! 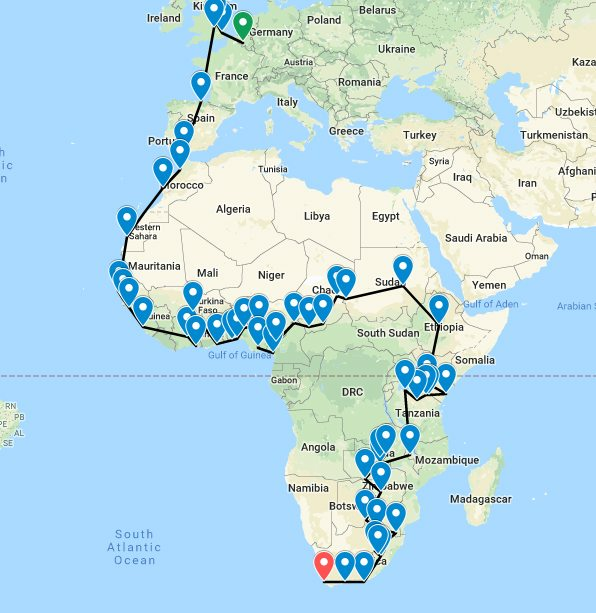 In early 2013, I heard through the grapevine that a British Obstetric Surgeon was intending to fly through Africa in a light aircraft, and offer medical training and supplies in countries along the route. 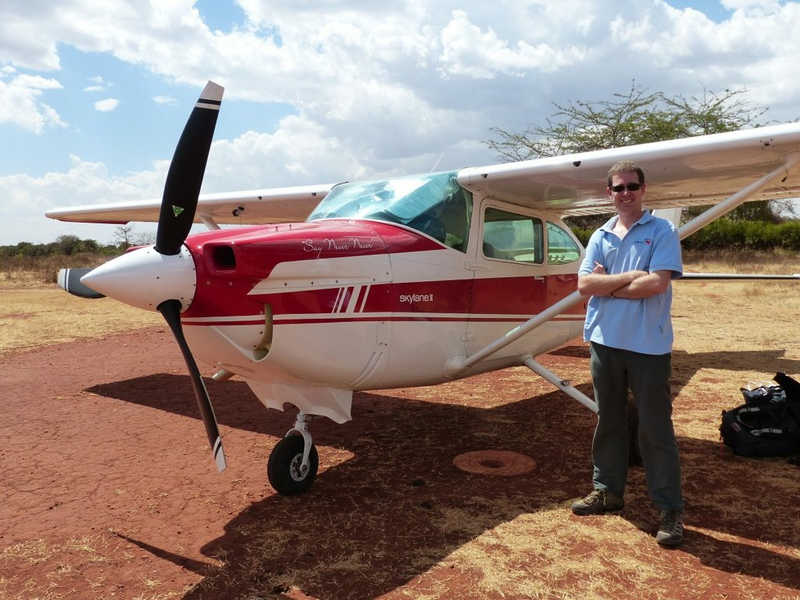 Having always been fascinated with the idea of a long flight through Africa, I got in touch to find out more, and see if there was any way I could help with my experience of flying in Africa to date. Dr Sophia Webster and I ended up getting on well, and discussing the trip in more and more detail - before long, I was asked if I would come along as an experienced pilot to deal with the aviation side of things. 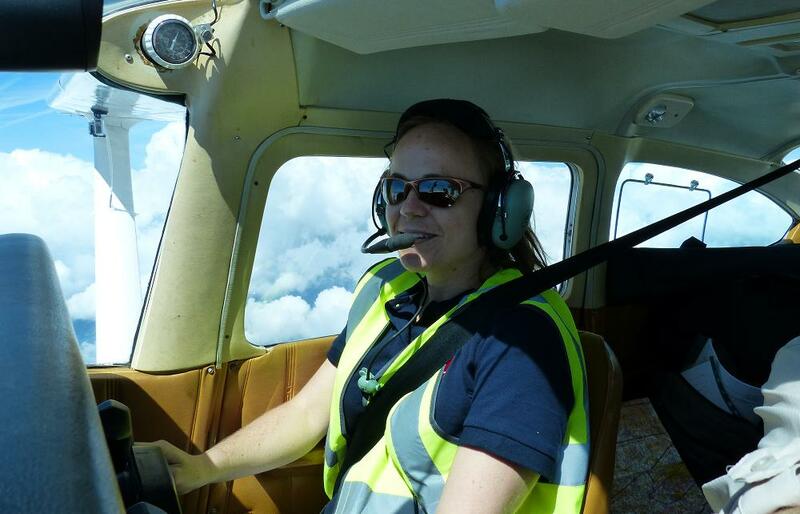 While Dr Webster held a Private Pilot's Licence, she had only about 100 hours flight time; more importantly she'd need to be devoting most of her time to the medical mission rather than flight planning. 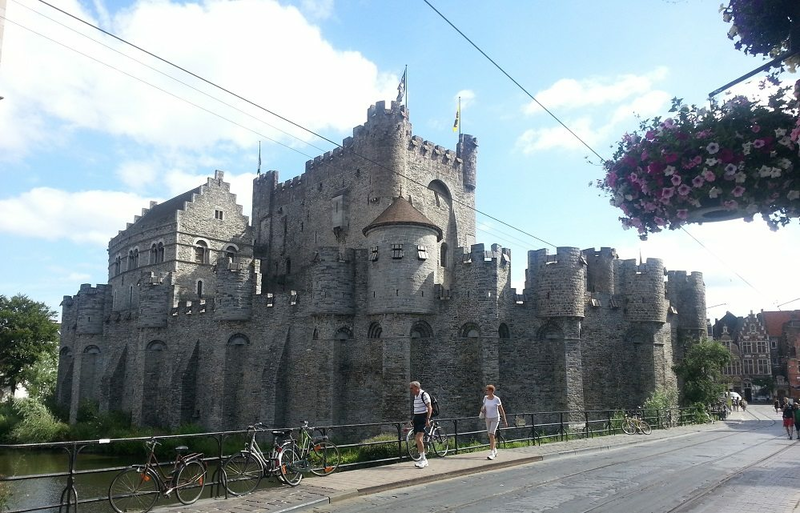 Once I had agreed that yes, I would like to go (which was not a difficult thing to convince me of) things started coming together remarkably quickly. Within the space of a few weeks the aircraft lease was organised, vaccinations acquired, flight to Europe booked, and visa and flight clearance process well under way. My area of expertise is aviation rather than medicine, but before long I found myself learning a lot more than I ever expected to about maternal mortality in child-birth. The death of the mother during pregnancy and delivery is incredibly rare in the developed world, but still sadly common in much of the developing world including much of Sub-Saharan Africa. As an obstetric surgeon with a keen interest in Africa, Dr Webster planned to travel through those countries in Africa with the highest rates of maternal mortality to offer training and equipment to combat the problem. 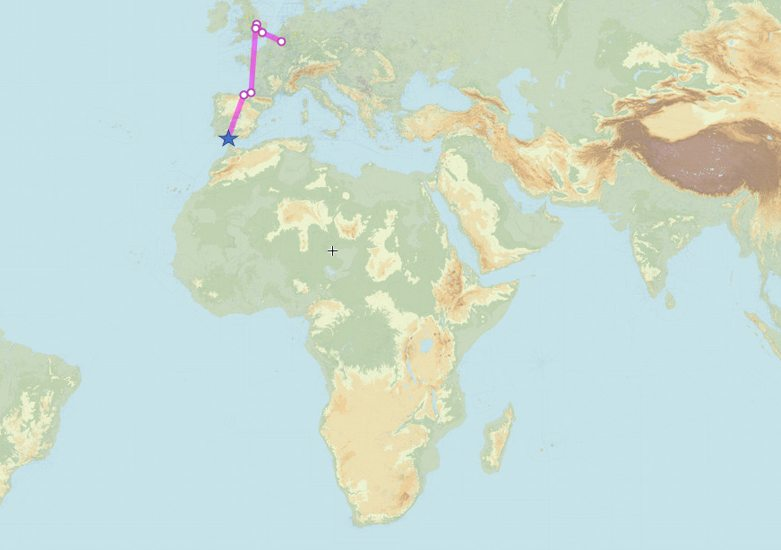 Unsurprisingly, there are significant challenges when planning this kind of flight. The first is the choice of aircraft; the limited availability of AVGAS cuts out 99% of the piston general aviation fleet. We ended up leasing a C182 that had been converted to an aero-diesel engine produced by SMA - this runs on jet fuel, which is available anywhere. It comes with the added advantage of better fuel economy leading directly to increased range. The number of different countries to be visited also presented a challenge. In total, ~25 different African countries would be visited over a three month period; each of this countries has different entry requirements for aircraft and crew. Mike Gray, of White Rose Aviation, was employed to organise overflight and landing clearances along the entire route. As well as permits, visas for myself and Sophia had to be organised. Some countries make visas available on entry, but others had to be organised in advance; thankfully, Sophia and her family were able to take the time in London to visit a number of embassies and organise visas in advance. Despite advice that we would not be able to get visas without having commercial airline tickets, we found that this was not the case and the required visas could be procured. The route was primarily chosen with Sophia's medical contacts in mind. As a result, at the majority of stops we already knew people on the ground who would be able to help out with accommodation, transport, and safety advice for the locations we were visiting. Other varied tasks included procurement of charts; VFR charts were not available for the majority of the route. 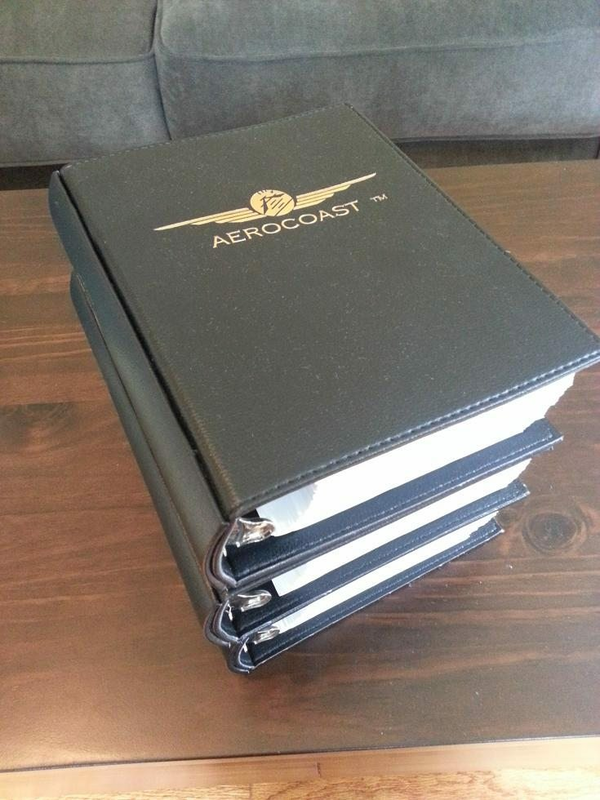 We acquired IFR en-route charts, and approach plates, for the entirety of Africa from Jeppesen; these came in three thick 2" binders. 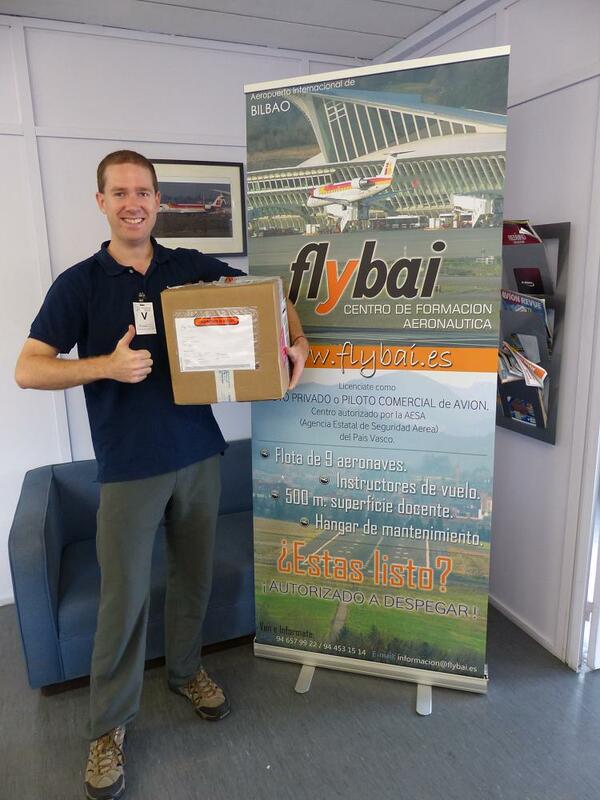 It was amazing to think that we had full details for every airport on an entire continent in our hands! VFR charts for Africa were mostly not available; the majority of navigation was through IFR charts, VFR data on my Aera 500, and Skyvector! What a fantastic trip, thanks for posting and looking forward to the next episode. Thank you! I can’t wait to read more. 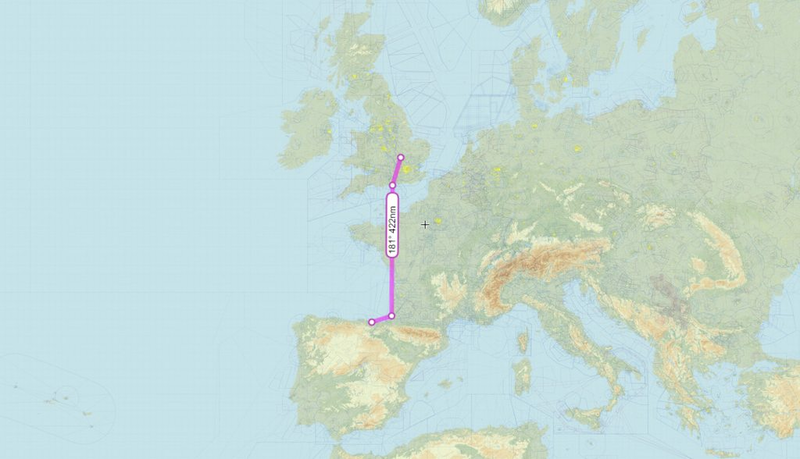 The airplane we leased was located in Belgium, so I flew directly there from the US to collect it and ferry it to the UK, the starting point for our adventure. 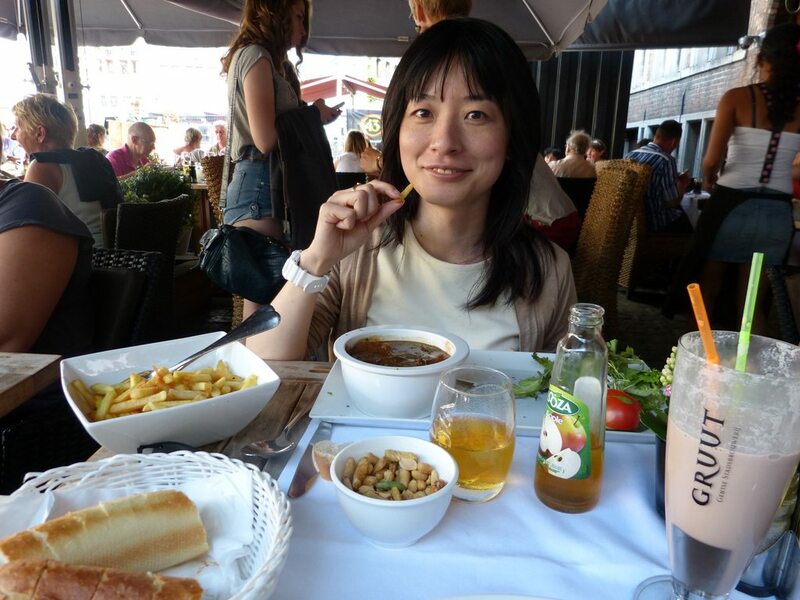 The delivery of the airplane was delayed a couple of days, so I ended up visiting the town of Ghent with my friend Keiko to pass the time. The aircraft was meant to be delivered at 3pm; in the end it did not show up until after 8pm and I was airborne at 9pm. 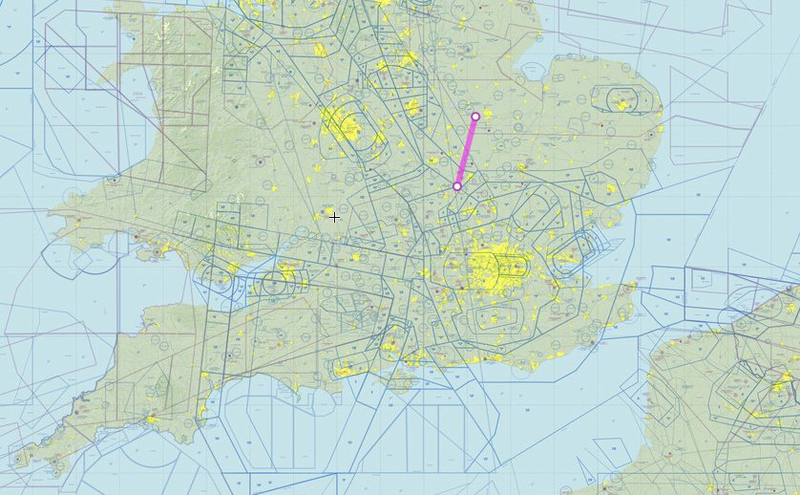 This, combined with a 30kt headwind, would have me arriving well after closing time at my planned destination of Biggin Hill. In the USA, an airport is seen as similar to a road; a part of the nation's infrastructure. As a result, all airfields tend to be available 24 hours a day. 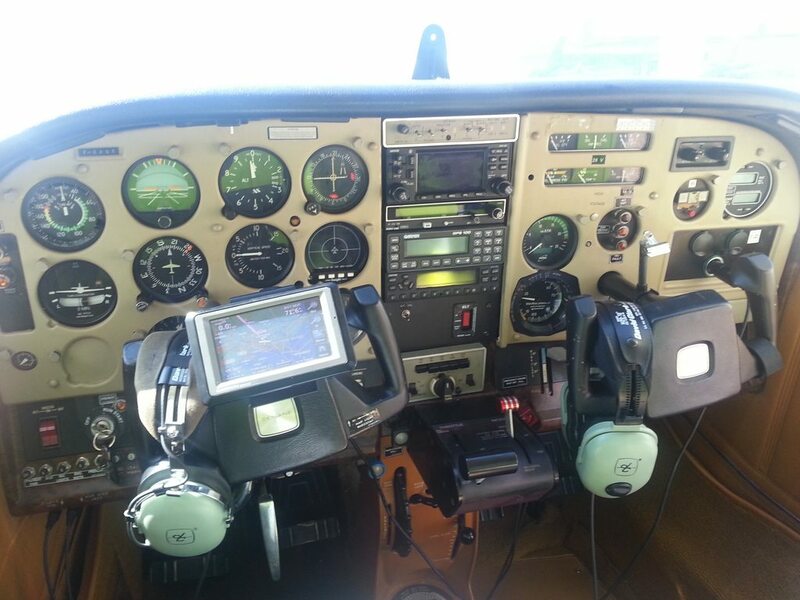 Even at night, lights can be operated easily by the pilot over the radio. In much of the rest of the world, including Europe, unnecessary regulation coupled with the effects of those people who buy houses next to airports and then complain that they can hear aircraft have led to a ban on radio-controlled lighting, and short operating hours for most airports. As it was, the only open airport by the time I got to the UK was Southend, a long way from home, but at least in the right country. My family collected me, and the next day was spent in London going round embassies to pick up a few extra visas. Thursday morning was bright and sunny with barely a cloud in the sky; perfect conditions for flying. I was dropped off at Southend along with my mother, who would be flying with me for the day. We cleared security quickly and, kitted out in our mandatory high-visibility vests, strolled across the tarmac to the aircraft. I pre-flighted especially carefully, as this was the first time I'd had the aircraft to myself without being rushed, and I wanted to ensure I became fully familiar with it. In addition, I had to carefully inspect for any pre-existing damage so that we would not be charged for something we didn't do! 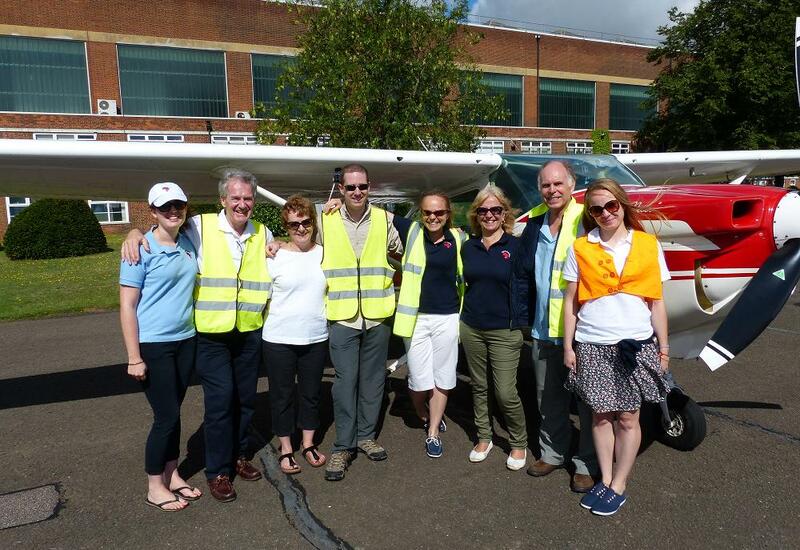 By 11am we were ready to depart, and took off on runway 06 headed for Peterborough Sibson Airfield. The slightly strangely instrumented panel of the Diesel 182. 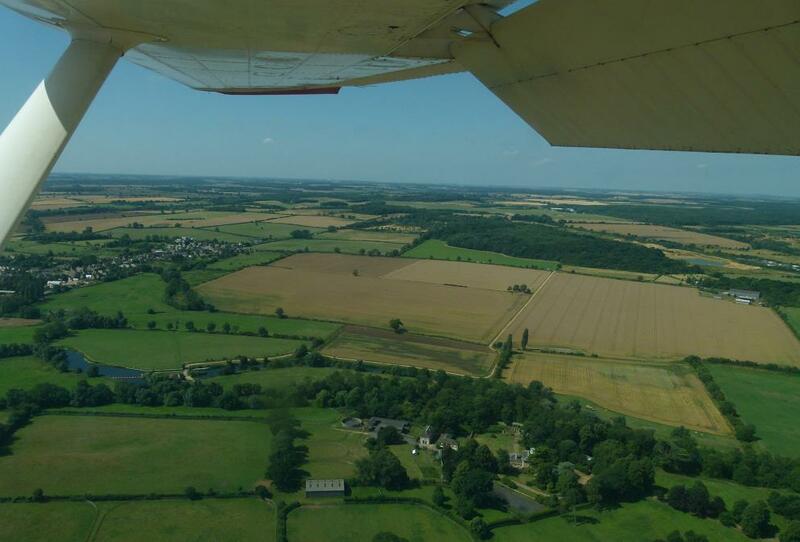 We flew on a direct course for Sibson at 2000ft; the air was not too bumpy, and the visibility perfect. 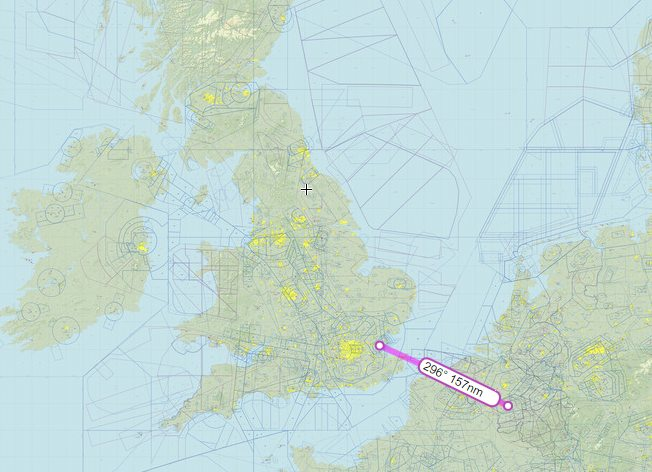 Our course took us towards Stansted, and after a short conversation with Essex radar we were given clearance to pass directly overhead, between two landing Ryanair 737s. From there we flew past many of my old haunts; Duxford, Cambridge, and RAF Wyton where the Cambridge University Air Squadron is based. Sibson was quiet, and we landed on runway 15; just 500m of grass, which concentrates the mind when one has been flying from at least 750m of tarmac for the last year or more! Sibson is a picturesque field, with a small flying school and a parachute centre. We sat in the lounge and I worked on further flight planning using the conveniently provided wifi while we waited for Sophia and her mother Pauline to arrive. We'd be flying from Sibson down to Cranfield, just a 30 mile trip, but it was important that Sophia arrive by air as the primary sponsors, ClearBlue had arranged to have a reception party including photographers to meet us as we taxied in. We loaded up the mothers; a nice touch to make the first flight of "Flight for Every Mother" with them on board; and set off for the short and uneventful hop to Cranfield. As we turned off the runway we found that they'd managed to persuade the airport to take them out to near the threshold and get some video of our arrival; thankfully I made a fairly good landing! We parked up, and spent a few moments having photographs taken and answering questions. 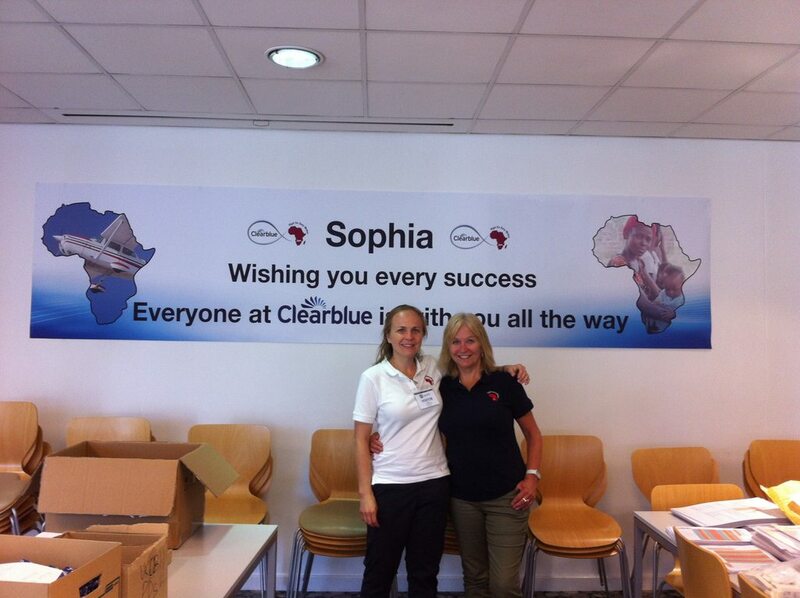 While Sophia carried on talking with the greeters from ClearBlue I chatted with the airport representative, who informed me that Cranfield had very kindly arranged for our landing and parking fees to be waived in aid of the charity trip. 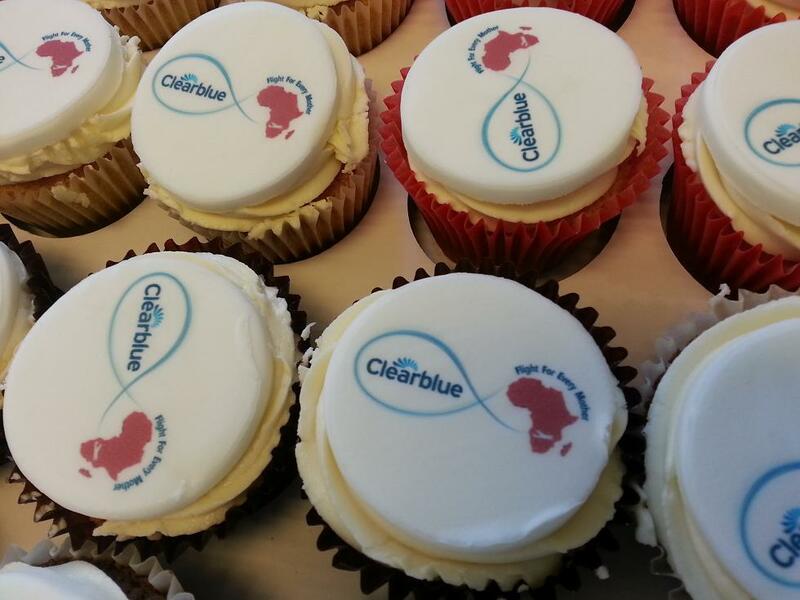 We thanked them, and after securing the aircraft were driven to the offices of ClearBlue. Most of the employees had turned out for a reception, with a banner welcoming Sophia and even cupcakes with "Flight for Every Mother" logos on them! Group photos, speeches, and on-camera interviews followed before we headed for the hotel. Good luck Sophia! But where's the love for the pilot? That evening we took the chance to catch our breath at the Embankment Hotel in Bedford. They were very kind and donated a night's free stay to both Sophia and I in support of the project. A colleague of Sophia's showed up to deliver her malaria medication, and after some time sat by the river getting to know each other's families we turned in. I am very much looking forward to following this thread. 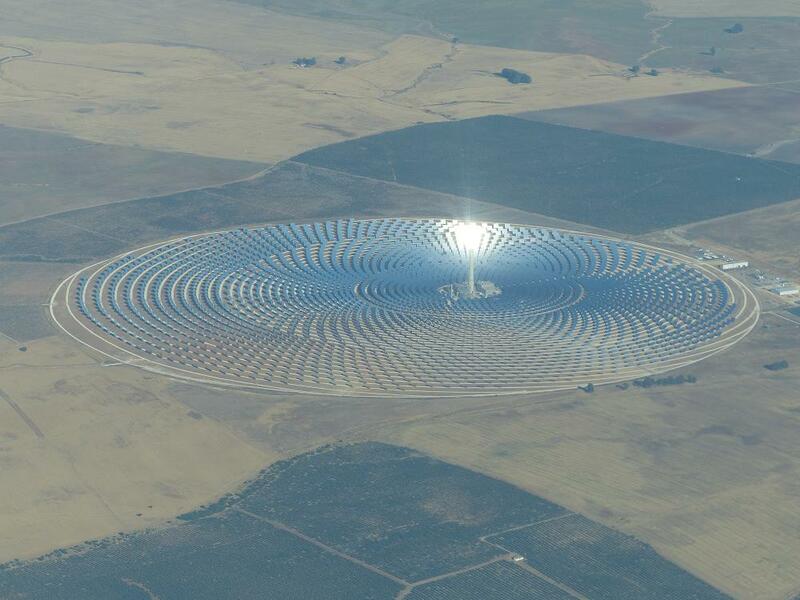 Dave W wrote: I am very much looking forward to following this thread. Me too, in a sort of masochistic way. With participants and families gathered in Bedford, we spent an hour in the morning at ClearBlue, planning what still needed to be done. I split off together with my father, and shopped for last minute items (tie down ropes for the aircraft, and so on) before heading out to the aircraft. 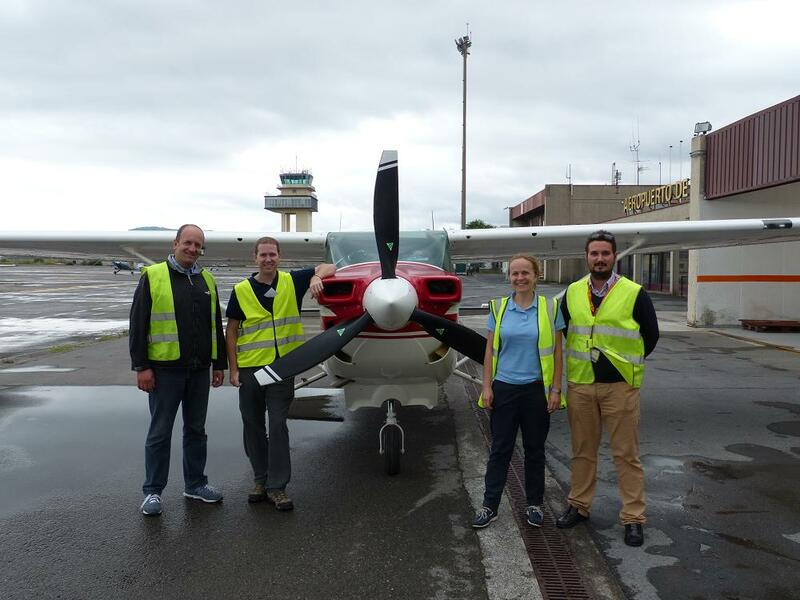 We met up with Steve and Lucy (Sophia´s father and sister) and spent some time planning how we´d load the aircraft, as well as organising fuel. 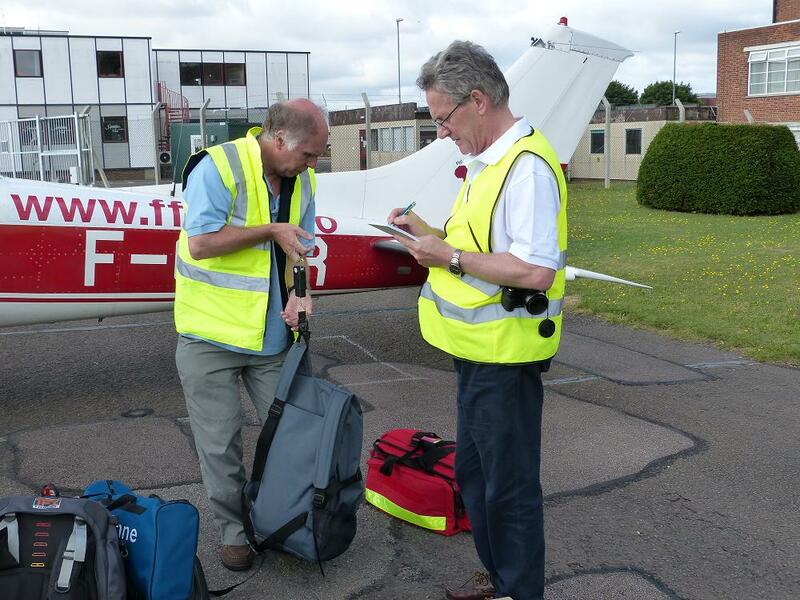 Steve and Lucy took some time to painstakingly adhere the website address to the aircraft. Weighing the various contents of the aircraft - lots of medical supplies would be carried to be distributed! Later in the evening, back at the hotel, I sat down with the charts for the UK, France, and Spain and planned our flight for the next day. It would be a straight shot South past London, along the French coast, and finally a right turn into Bilbao. A total of 588nm should mean a flight time of a little less than 6 hours. At 8pm my sister arrived from London, and the eight of us sat down for a goodbye dinner. The disco from the wedding that was taking place in the hotel thankfully shut down at a reasonable hour and we went to bed early, ready for the official departure to Africa the next day. We arrived at the airfield a little before it opened, but the staff were already around and let us in to load the aircraft. We weighed the gear one last time and found that we had 150kg of supplies in total. 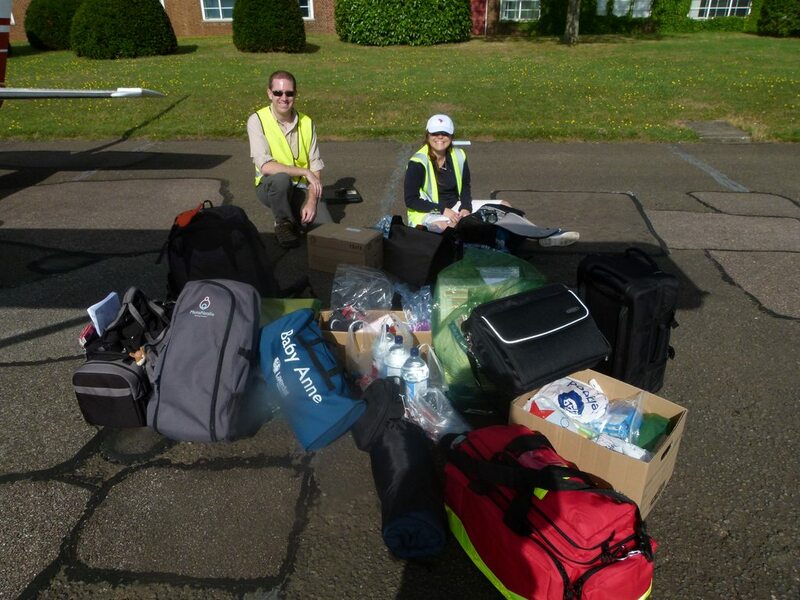 Carefully distributed within the aircraft, we were still within our weight and balance limits. The time came, at last, to say goodbye; a few group photos later and Sophia and I started up the aircraft and headed for the runway. Quite a lot of gear, as it turns out. If I was doing this again today I'd know to pack much lighter! Most is medical gear, however. The big red bag is our first aid kit! It's reassuring to travel with an accomplished surgeon. A final group photo before departure. It turns out that the families had not taken into account the time to queue for takeoff behind a couple of other aircraft, and were not fully acquainted with light aircraft identification. They waved wildy, shared emotional hugs, and took countless photos of the departing Cessna; which was unfortunately not us. As they were walking back to their cars a very kind man from the control tower ran after them, to point out that we'd not actually taken off yet, so they rushed back just in time to do it all over again. Apparently, it was much less emotional the second time around. 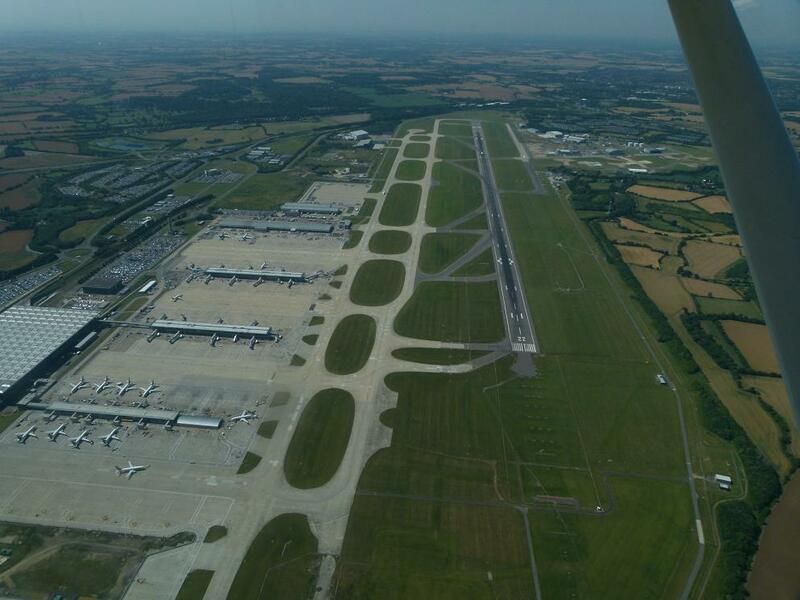 We set course South at 2000ft to remain below the airspace around Luton and Heathrow. Being a beautiful Saturday morning, there was quite a large amount of other traffic buzzing around, including plenty of gliders; we weaved a course around a number of locations to keep clear of the launching winches that power the gliders up to 1000ft or more. 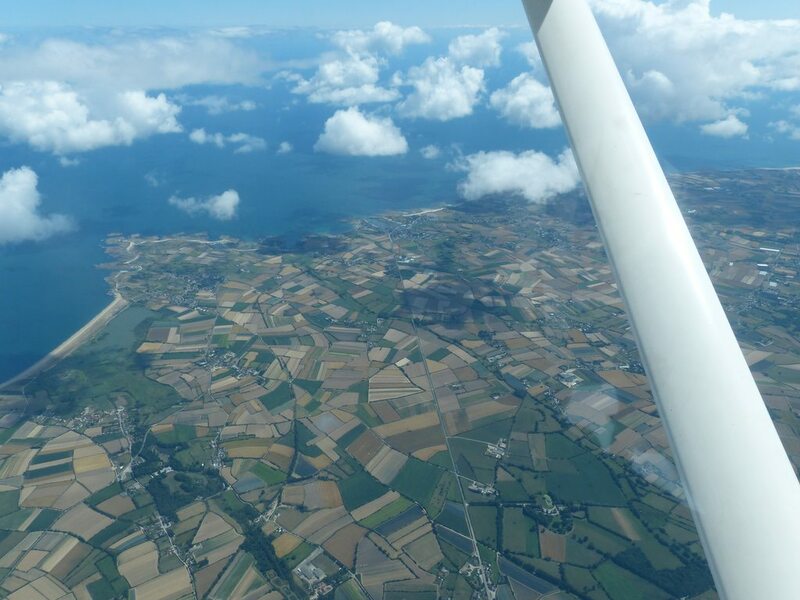 As we tracked further South towards Southampton the coastline came into view, and we accepted a radar service from Solent Radar as we climbed up to 6,500ft over the Isle of Wight before crossing the Channel. 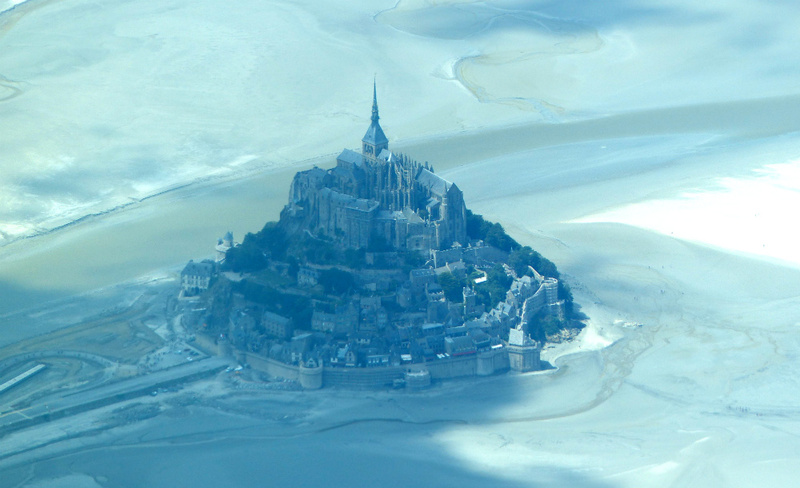 Even as we passed over St Catherine's Point, the coastline of France was just visible in the distance. 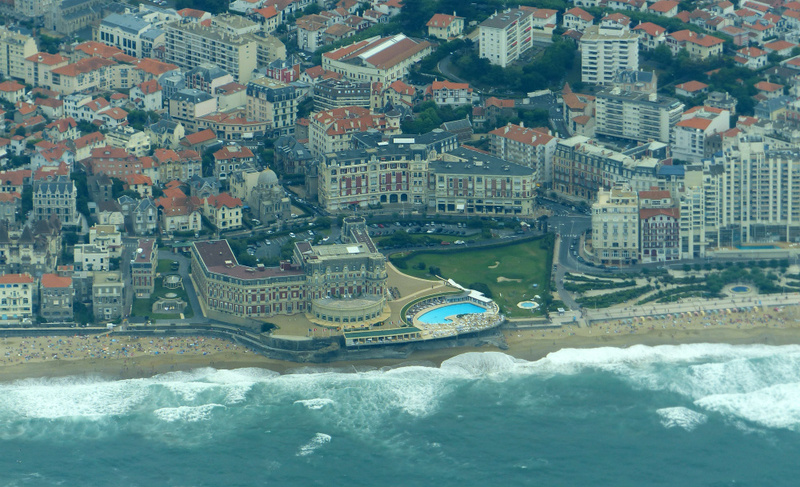 Coasting in over the French coast. The French Air Traffic Controllers gave excellent service as we passed down the entire Western side of the country. 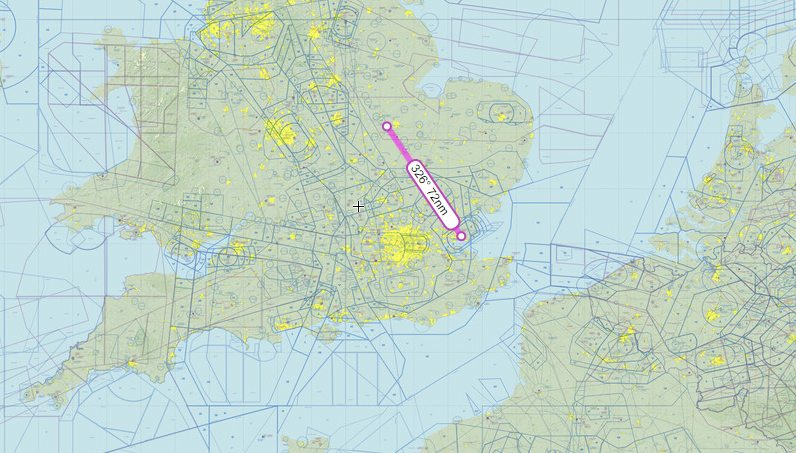 We were handed off from controller to controller, with seamless clearance through the various sections of airspace we passed through, as well as a traffic service to alert us of any other aircraft nearby. Around 90 minutes from Bilbao, our relaxed cruise came to an end; the "Low Voltage" warning light had illuminated. A quick assessment of the situation suggested an issue with the alternator; although, trouble shooting quickly demonstrated that the alternator itself was still operating. Whatever the reason, the battery was no longer receiving a charge, and that meant that our electrical systems were at risk of shutting down. Shutting down all non-essential systems such as aircraft lights brought the drain on the battery down to a minimum. The SMA aerodiesel engine fitted to our aircraft has an electrically powered Engine Control Unit, which we bypassed by switching to the mechanical back-up; the engine will stop running if the ECU shuts down, so switching to mechanical back-up is a sensible precaution and also removes further load from the battery. Running in mechanical back-up mode limits the available power, so we continued our flight in good conditions at a slightly reduced speed. An hour later, we approached Bilbao under a scattered layer of cloud. We flew a slow downwind leg to allow a Lufthansa flight to land ahead of us, before touching down well down the runway to avoid his wake turbulence. A "follow-me" car led us to a parking spot more commonly used for mid-size regional jets, and the handling agents from Servisair met us as we shut down. 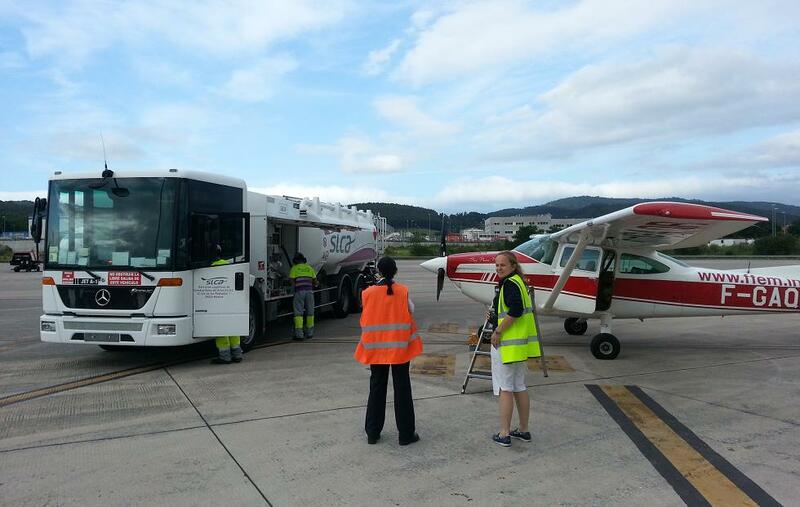 We had to wait some time for fuel, as they were dealing with several airliners before turning their attention to us. The first fuel truck they brought was too large, and they had to go away and locate a smaller one that would have a hose that was not too big to fit into our filler port. Even then, they insisted on being shown the part of the aircraft handbook that specified Jet-A as the fuel; they'd never encountered something this small that didn't run on AVGAS. To investigate the electrical issue would first require a look under the cowling to spot any obvious issues such as loose wiring; but here we ran into a problem. The tool we needed to remove the cowling, a simple screwdriver, was the one thing we'd forgotten to bring with us in the rush of departure. Servisair, who were proving themselves extremely helpful and professional, came to the rescue and collected us from our hotel to take us to the supermarket so we could buy the tools we need. We ate at the hotel, and didn't sleep until late after working through all of the required planning for the next day, and other issues that always come up in preparation for stops down-route. An overcast sky in the morning stopped us feeling too bad about being earth-bound for the time being. Clutching our newly purchased tools we took the shuttle bus back to the airport. Servisair met us once again and led us through to security, where we hit the first problem of the day. The men at security were adamant that our dangerous tools would not be allowed through security unless we were licensed mechanics; which we, of course, were not. Arguments that pilots are permitted to carry out some of their own maintenance fell on deaf ears. Avoiding the temptation to point out that we had a folding knife in the aircraft already, so we'd hardly be trying to smuggle a pair of pliers through to perform nefarious deeds, we eventually negotiated a truce whereby we gave up our hammer, security saved face, and we could still proceed with our precious screwdriver. I was reasonably confident that we wouldn't need a hammer anyway; it had come as part of the tool kit. In retrospect, we could probably have predicted that attempting to carry a hammer through airport security might have caused a few raised eyebrows. On arrival at the aircraft I set about removing the cowling. Having taken the top half away, we performed a careful inspection of every wire we could see. It turned out that one of the cables attaching to the alternator had come snapped at the bracket where it joined the alternator itself; so, although the alternator was working fine, the battery was not receiving any current. We were pleased to discover that it was a seemingly easy fix; but less pleased to discover that on a Sunday, absolutely nowhere to procure the replacement part or have it fitted would be open. 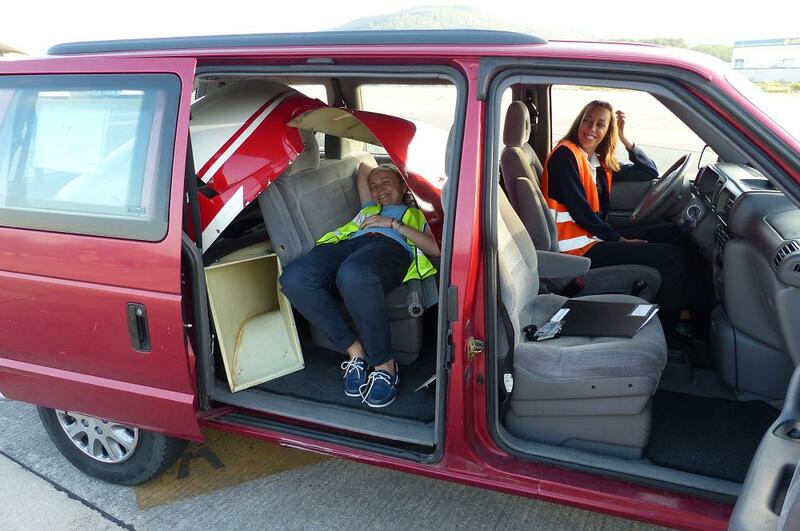 A mechanic from Iberia came to offer assistance, but could not find the exact part needed, and so we returned to the Servisair desk to consider our options. It turned out that one of the Servisair representatives was learning to fly at the flying club across the airfield. 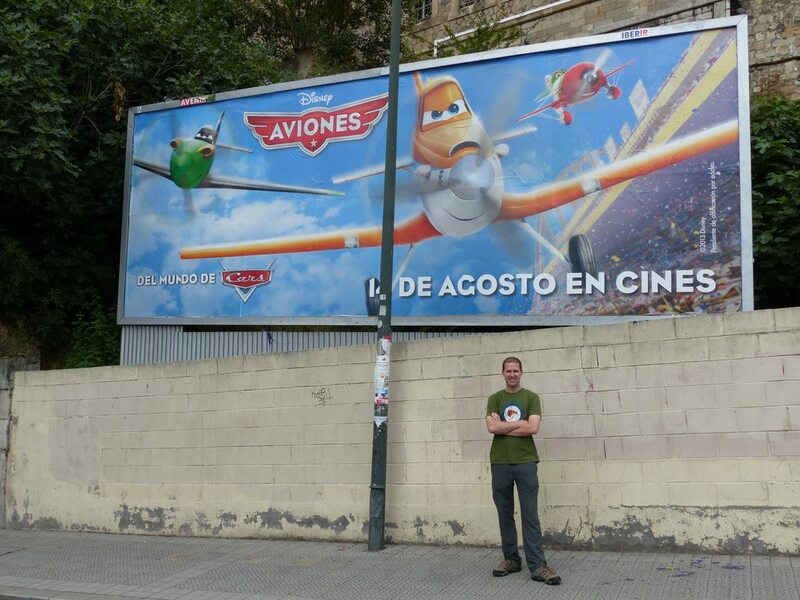 While there was no light aircraft maintenance facility at Bilbao, he did know that a mechanic was coming the following day to work on the club aircraft. He managed to get through by phone, and we described the problem to the mechanic who asked us to taxi across the field and meet him at 9am the following day. At last, the problem was in the hands of a professional! The next morning we departed the hotel early to get to the airport for 8am. After arriving at the aircraft we loaded the cowlings into the Servisair van; there was no point in re-installing them just for the taxi across the field to the aero club. The van, with Sophia and the cowlings, sped off as I called for clearance to start the engine, and tried to fire up. The engine would turn over, but not catch. I informed tower of the problem and shut the systems down again. 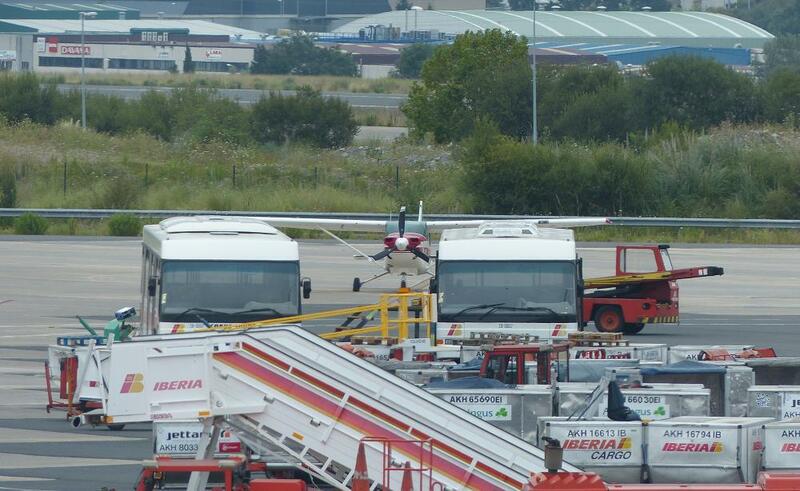 After 45 minutes or so, the Servisair van returned; this time with two mechanics on board. They poked and prodded around the engine and declared that the alternator cable was a very easy fix. The battery, however, would need a two hour charge. A phonecall to the mechanics in Holland who look after the aircraft confirmed that a charge should fix our problems; when the battery is too low the Engine Control Unit will not allow the engine to receive fuel as it thinks there is an electrical problem, even though the starter will turn the engine over. Another symptom was that the alternator became very hot after just a few seconds of turning the engine over, even though it was turned off; the mechanics were unclear about this issue so we'll charge the battery and see how we go. The connection to the alternator was soon repaired, and the engine fired up as normal with the freshly charged battery. However, this revealed the major problem: the alternator was dead, probably as a result of a short circuit while the loose end of the broken cable waved around and contacted the alternator housing. We re-fitted the cowlings, and fired up again under battery power to taxi Quebec Romeo over to the other side of the airport to wait for a new part to arrive direct from the manufacturer. 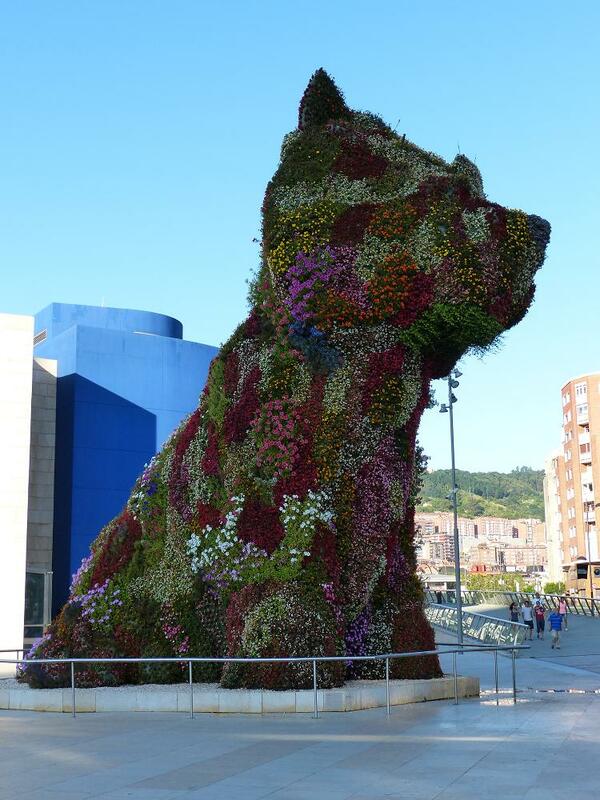 So, we settled in again for another 2 nights in Bilbao. Being a little tired of the Holiday Inn, we used expedia.com to book a hotel in the city centre. We selected on of their deals where you are given a significant discount, but not told what hotel you'll be in until after you book; you're initially just given a run-down of the approximate location, facilities, and star rating. Imagine our delight when we booked, and found that we'd be spending the next two nights in the other Holiday Inn. On the plus side, at least it is not too far from the city centre! Good read so far, can't wait for the rest of the adventure, you have set the bar high with the Alaska & Canada trip though! 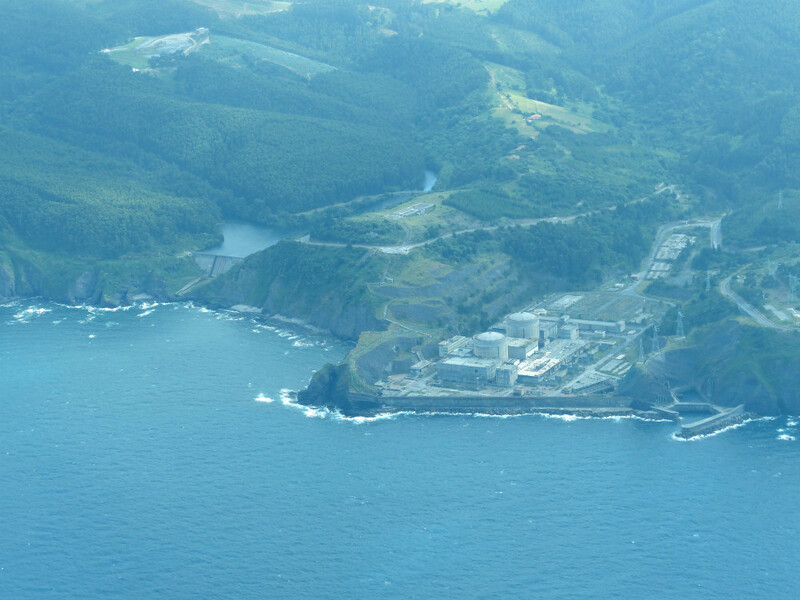 I very much enjoyed reading the (near) real-time blog back about the trip in 2013. @Katamarino : if the blog is still up, perhaps you can link to it? I've lost the URL. Looking forward to follow this version as well. From what I remember, the pictures in the original blog were much smaller than what this forums allows. 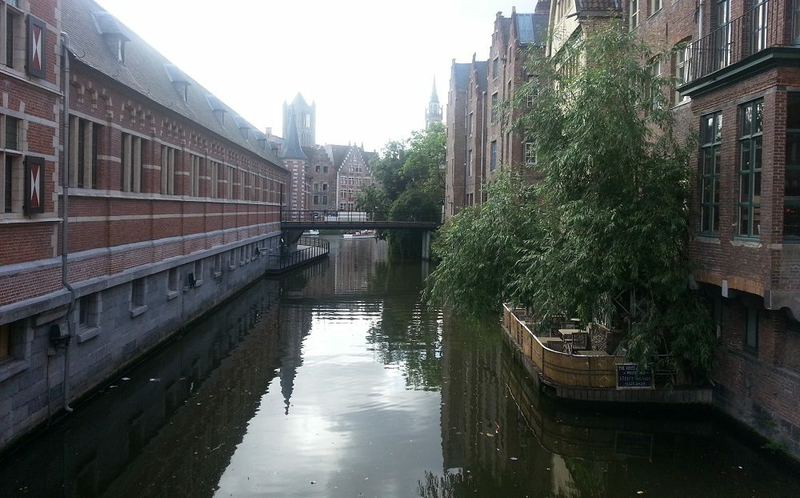 akg1486 wrote: I very much enjoyed reading the (near) real-time blog back about the trip in 2013. @Katamarino : if the blog is still up, perhaps you can link to it? I've lost the URL. Thanks for the kind words! The original blog is being re-done at the moment, a total re-vamp of the website in advance of the next big trip. The new alternator had been shipped on Tuesday, and I had spent much of the evening refreshing the DHL tracking page to see how it was doing. 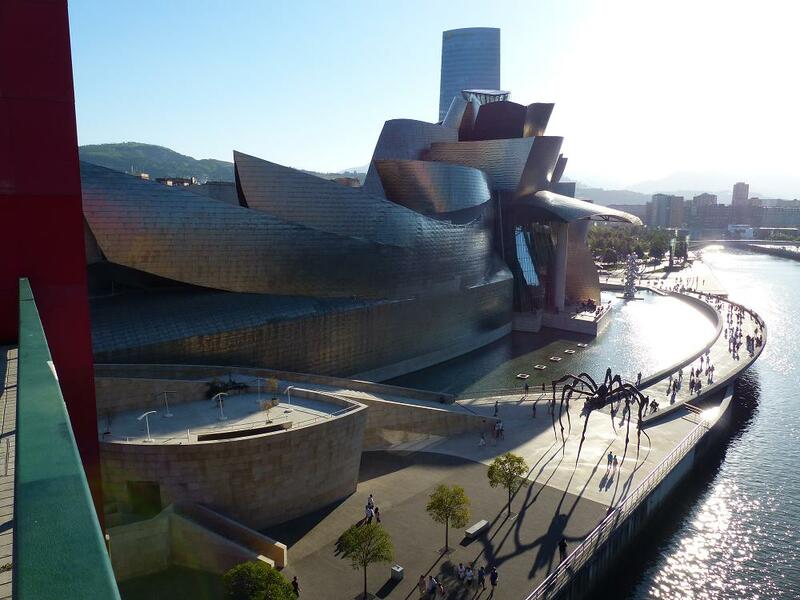 Waking up on Wednesday I was pleased to see that it had made its way through Paris to Brussels, and was reported as having just arrived in a city only an hour from Bilbao. Of course, my vision of it being rushed to a van and delivered straight to us did not materialise, and it was a further three hours before it arrived at FlyBai a little before noon. Jose and his crew took just 30 minutes to get the new alternator installed. In trepidation, I fired the engine up and flicked the alternator on. Success! The battery showed charging, and all warning lights were extinguished. After running the engine for a while to charge the battery, I shut down and we reinstalled the cowlings. Sophia was happy to hear the good news, and we immediately called our friends at Servisair to take us over to the terminal where we filed our flight plans and paid the considerable bill. Finally we passed through immigration, which consisted of a policeman taking a cursory look at our passport and saying in Spanish "Seems ok". We arrived back at FlyBai ready to load up and say our goodbyes. This plan hit a snag when we discovered that everyone had gone for lunch and left most of the school locked. We decided that we could at least load the aircraft, and made several trips to and fro to carry all the gear that had been removed during maintenance to access the tail section where the battery is located. This done, we twiddled our thumbs (and delayed the flight plan) to ensure that we could say a proper goodbye to our friends. They wandered in a little while later and very gallantly refused our attempts to pay them for their work and hospitality. With the FlyBai crew waving us off, we started up and departed runway 28 headed South to Rabat. 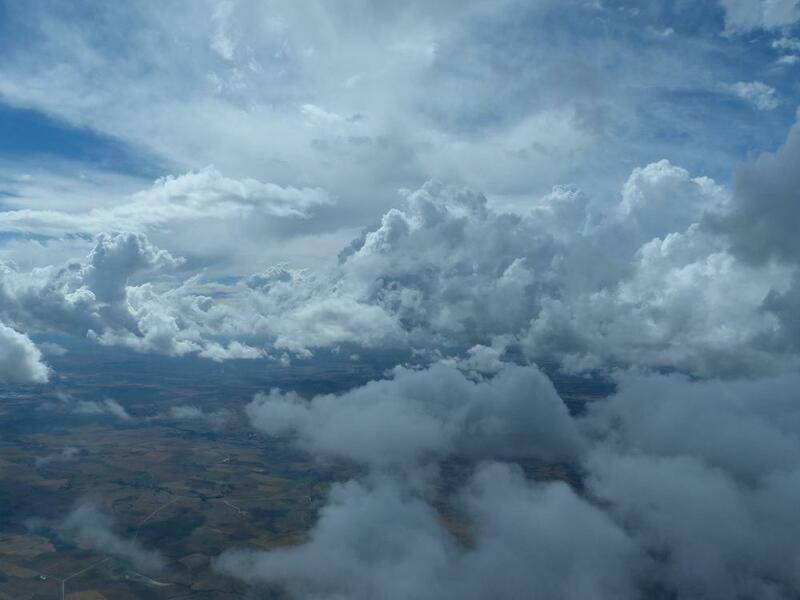 There were towering cumulus clouds and rain showers all around the airport and extending South, so we were careful to steer around them and stay visual with the rising terrain. We leveled off at 8,500ft for the long cruise across Spain. The tower at Vitoria airport accepted our handoff from Bilbao approach and gave us weather and traffic information as we tracked towards Madrid, and were cleared through their airspace and onwards. Suddenly, though, disaster - an angry red light on the instrument panel announcing "Alternator Failure". We couldn't believe it. At least this time we knew exactly what to do, and before too long we were running with minimum electrical load and mechanical back-up mode for the engine control. 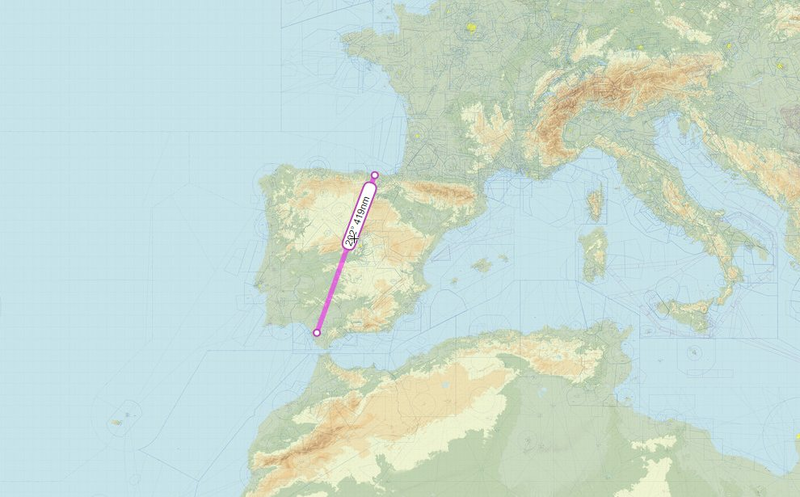 With the reduced speed in mechanical back-up mode, Rabat was no longer an option; we would not arrive before sunset, which is the end of legal VFR flight in Morocco. Even without this consideration, I was not at all confident in the light aircraft maintenance support that we might find south of the Mediterranean. 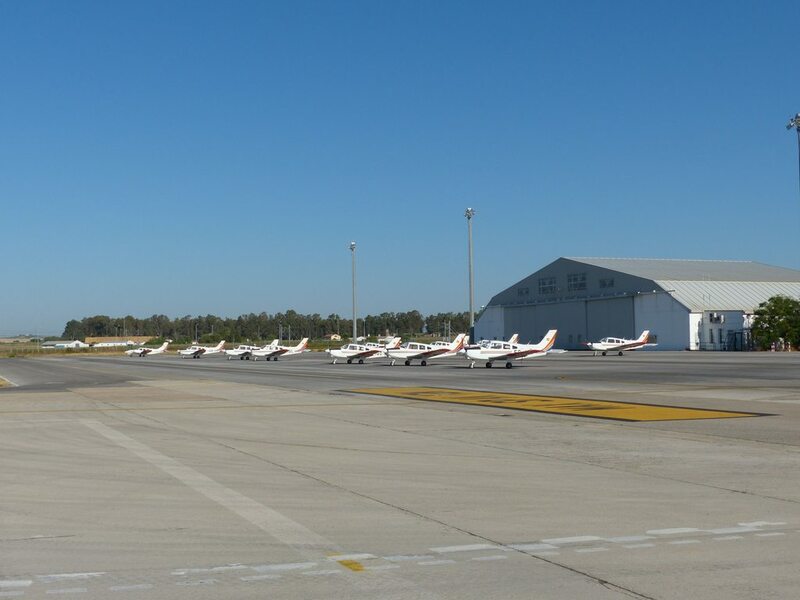 Not far off of our route, however, was the airport of Jerez in Southern Spain where I knew a very large international flight school was based. If anywhere was going to have a decent engineering department it was there, so I announced our situation to ATC and they cleared us directly in. The tower was very considerate and gave us priority into Jerez, with school traffic being instructed to hold clear of the airport to allow us a direct approach. They even had the airport fire trucks scrambled and standing by at the side of the runway as we landed. The landing was uneventful, even given the engine's propensity for shutting itself down when the throttle is reduced close to idle in mechanical mode. We followed the "follow-me" car to the apron near Flight Training Europe, and wandered over to see if anyone was around. It was 8pm by this stage, but given the number of flight school call-signs that we'd heard on the radio we knew that there had to be some kind of activity still going on at the school. As it turned out, we had landed on our feet once again. We were greeted by Mike and Navid, from England and Switzerland respectively, who were both instructors at the flight school. They immediately sprang into action to help us out, organising accommodation at the home of a ground school instructor, and then driving us there. They also arranged for me to be driven back in the morning to see the head of engineering, who Mike emailed to let know I'd be coming. They couldn't have been more friendly and helpful! 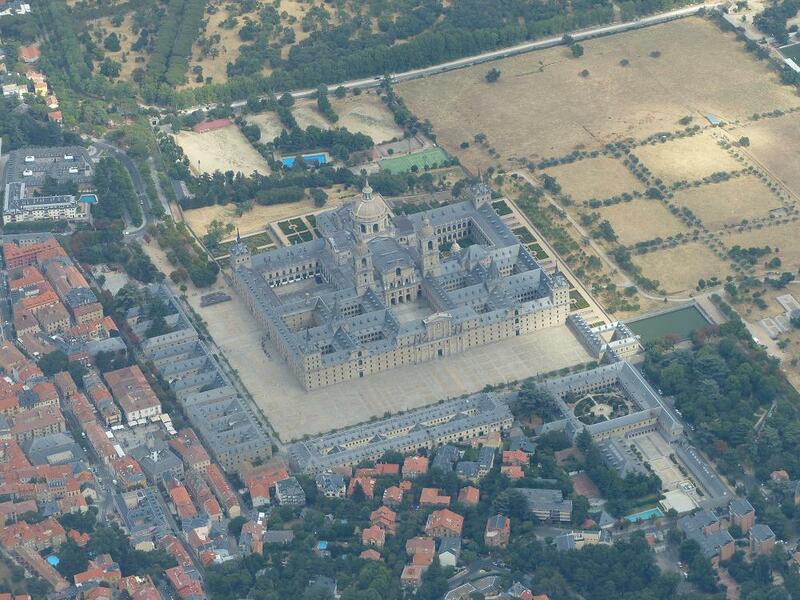 Roger, the ground school instructor, and his wife Honor owned a huge villa in the centre of Jerez. They had a number of apartments set up for visitors, of which we were given one for our stay. 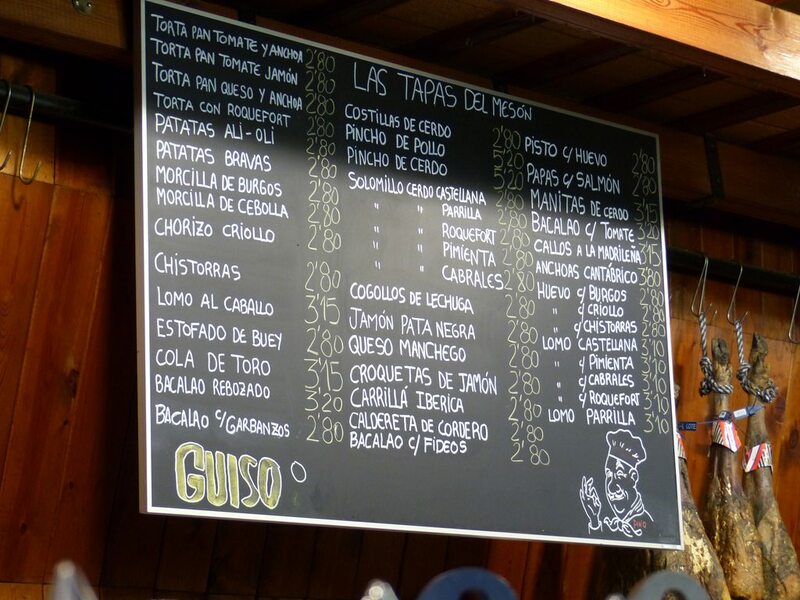 Honor pointed us in the right direction, and before long we were drinking beers and sangria and enjoying tapas, wary about the potential electrical issues to be sorted out but relieved to be surrounded by such supportive people. I caught a lift to the flight school with Roger on his way into work at 8am. Security, who had been remarkably unhelpful the night before (they refused to let us leave the flight school, instead walking all the way across the airport to leave via a gate near the terminal) were much more accommodating this time; I still had to wander all over the terminal, visit 4 different offices, and pay 14 Euros for Menzies Handling to drive me 300 metres though. Before long I bumped into Mike, and we eventually tracked down the head of maintenance, Carlos. FTE is a very large commercial school, and as such, they went to great lengths to ensure that everything would be done in accordance with the proper rules and regulations. They took the view that they could not officially work on our aircraft, but that one of their mechanics would be perfectly free to work on it on his own time, using their tools and facilities. This seemed like a very reasonable approach to us and we happily accepted. A phone call to Aeroskill in Holland to describe the symptoms had led to a preliminary diagnosis, and so I settled down to wait until 3pm, the time at which the mechanic and facilities would become available. I was waiting in the hangar at the prescribed 3pm, and Carlos and his mechanic were right on time. 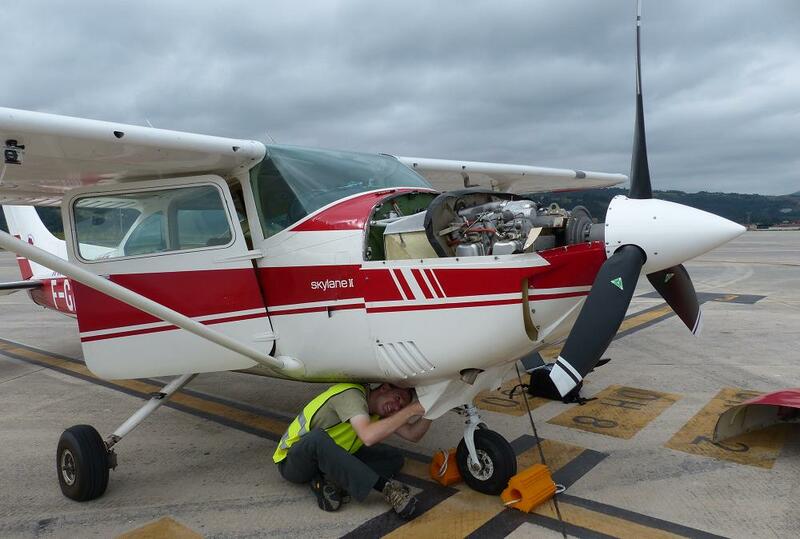 We headed out to the aircraft with a ground power unit to get her started. Taxiing the 200 metres to the hangar was as much of an ordeal as getting through the terminal, with the requirement to follow a "follow me" car, and about 10 minutes discussion between me, the tower, and parties unknown about where I was taxiing and how they could organise it. Eventually, though, the airport authorities were convinced that FTE really had invited me to take my aircraft over, and moments later I was parked at the FTE maintenance hangar with the cowlings stripped. 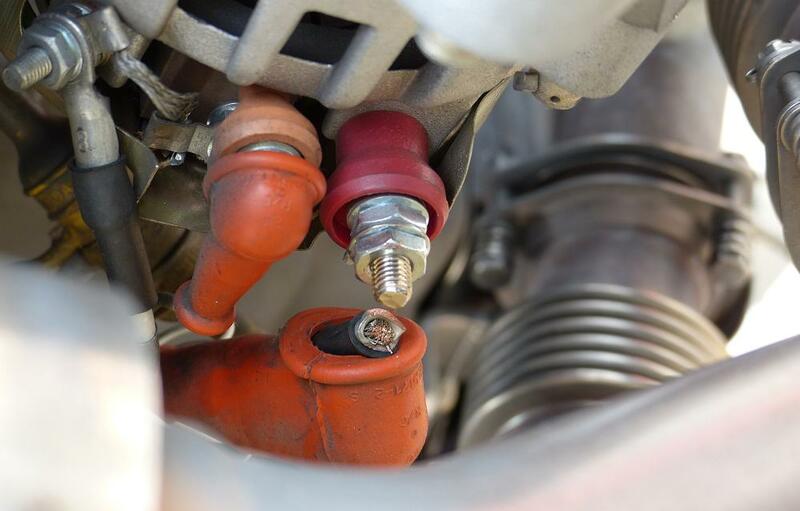 The problem was immediately obvious, and exactly as Aeroskill had predicted; the alternator auxiliary lead had snapped, probably as a result of being left under slightly too much tension after the alternator replacement. It was a quick 5 minute fix, and a ground run demonstrated that all symptoms of the problem had been eliminated. The same hassle with the "follow me" car occurred to return to parking, but at least this time my battery was charging while I waited. When I returned I found that Sophia had had a productive day with planning, contacting people down route, and so on. 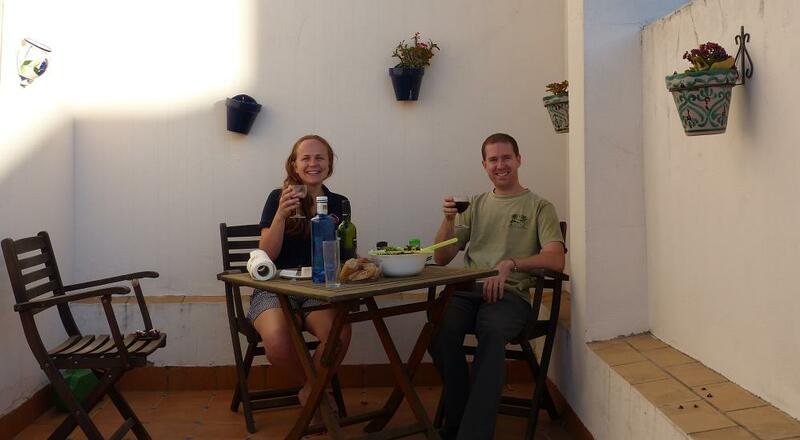 She'd even been to the shops and prepared a dinner of meats, cheeses and salads to enjoy on our balcony that evening! With the aircraft repaired it was easy to relax and look forward to being on our way in the morning; finally, Africa was at hand. Fascinating reading; I feel I could binge on a box set! stickandrudderman wrote: Fascinating reading; I feel I could binge on a box set! My website is coming soon, that will have the Alaska and Africa write-ups, as well as about 8 other trips, ready for bingeing!